I really enjoy watching home improvement shows and seeing some of the things they come up with. This of course leads to daydreaming about different houses. Then I started to wonder what do some of the most expensive homes in the world look like? The Hearst Mansion. $165 million. 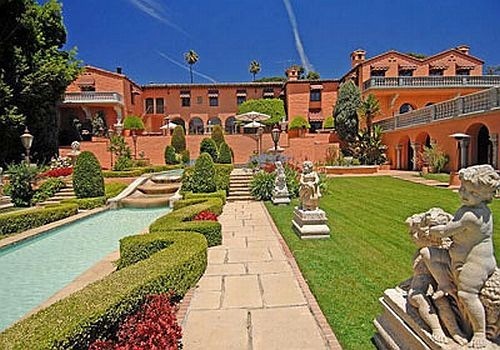 #5 is the Hearst Mansion in Beverly Hills, $136 million. Formerly owned by publishing giant William Randolph Hearst, this home boasts 29 bedrooms and three pools. It was used in The Godfather movie, when the infamous severed horse’s head turned up in the owner’s bed. #4 is Fairfield Pond in The Hamptons, $170 million. This 63 acre home is considered the largest residential compound in America. It has 29 bedrooms, 5 sports courts, a bowling alley and a $150,000 hot tub. Penthouse of One Hyde Park, $200 million. 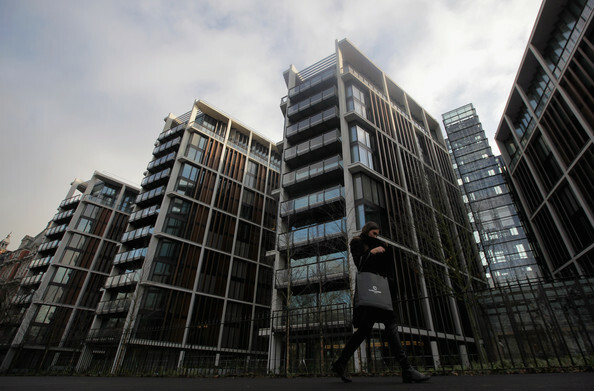 #3 is the Penthouse of One Hyde Park in London, $200 million. This penthouse probably would not be so expensive did it not sit in the famous number 1 Hyde Park address. The home comes complete with SAS guard, bullet proof windows, iris scanners, panic rooms and a secret tunnel to the nearby Mandarin Hotel. The building has communal spas, squash courts and wine tasting rooms, and the penthouse is served by 24 hour room service. 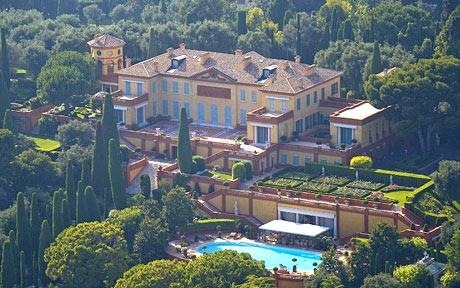 #2 is Vila Leopolda in Cote d’Azur, France, $525 million. This is an 80,000 square foot Chateuau built in 1902 by King Leopold II of Belgium. The 19 bedroom villa, also features sports courts, a bowling alley, multiple kitchens, dining rooms and a movie theater. 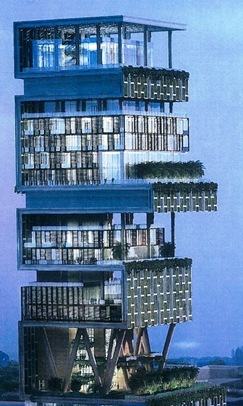 And the #1 most expensive house in the world is Antilla in Mumbai, India. It cost a staggering $1 Billion dollars. It is also the first one billion dollar home in the world. This home is 570 feet tall and features double height ceilings, ballrooms, crystal chandelier ceilings, retractable stages, and 600 servants.